Obsession 16 is the latest incarnation of the now famous annual gastronomic celebration at Northcote. 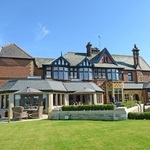 Initiated for the new millennium by this Lancashire manor hotel with Michelin-starred restaurant named best place to stay outside London, it will this year field 18 chefs with an equal number of Michelin stars from all over the UK and beyond. 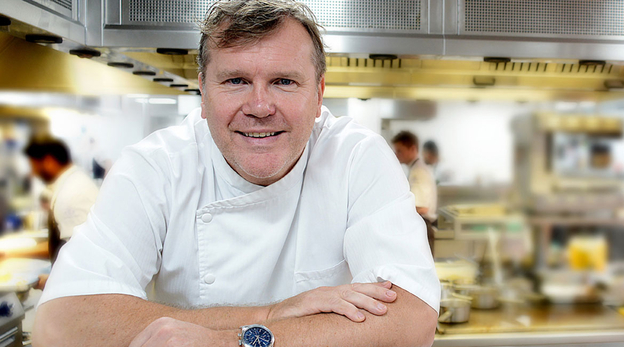 Chef-patron Nigel Haworth, known to foodies from The Great British Menu and other television cooking shows, has attracted chefs from as far afield as Mexico, Taiwan and Japan this year, each cooking on a different night between now and February 7. 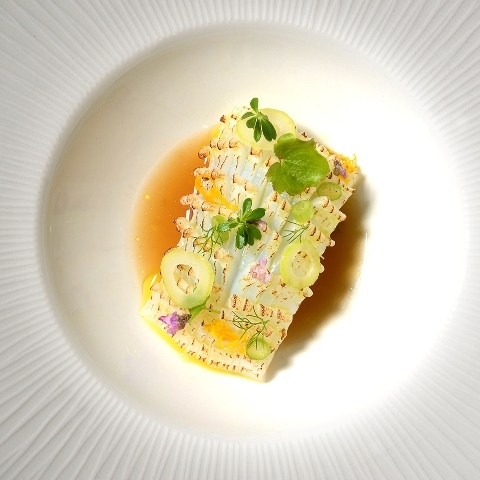 But the festival is also a great chance to taste the food of British culinary stars like Tom Sellers, whose London restaurant, Story, has been constantly booked solid since he opened. 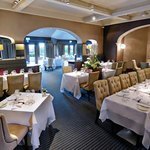 Our own brush with Obsession 16 started with a chance to actually meet the chef, who was hanging out in the lounge when we arrived in the Ribble Valley hostelry, a half-hour drive from Preston. Sellers and his colleagues are accessible in the way Michelin-starred chefs usually are not in this informal country setting, and we had a chat about his famous beef dripping candle, which has been a talking point since Story opened. Alas, he left his candles behind in London but later served six of his outstanding signature dishes rather than the five promised, while Northcote managing director Craig Bancroft, a fantastic host and sommelier, matched an outstanding wine to every course. The festival serves 1,680 guests every year, consuming more than 3,000 glasses of Louise Roederer Cristal between them as well as 100 different wines from more than 20 countries during the course of the event. 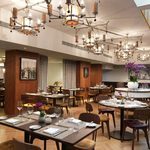 The private dining room, actually named for Roederer, doubles the capacity and a seat secured here could see you dining beside the following night’s celebrity chef, in our case the three Michelin-starred Annie Feolde from Florence. Two more starred Italian chefs will cook on Wednesday and Thursday this week, which will end with food from Taiwan. Next week’s line-up is largely given over to home-grown chefs including those from London’s acclaimed Greenhouse and Lima, but starts with a dinner from Hideaki Matsuo, one of Japan’s illustrious three-star chefs and sees South Africa’s Peter Tempelhoff in the kitchen on Monday, Diego Hernandez of Mexico on Thursday and Wojciech Modest Amaro from Warsaw on Friday. Northcote’s own stars come into their own for the final weekend, with head chef Lisa Allen, who has won her own Michelin star there since taking over the helm at the stove from Nigel Haworth, cooking on Saturday with Chantelle Nicholson, and the estimable Haworth himself cooking the closing dinner on Sunday, February 7.